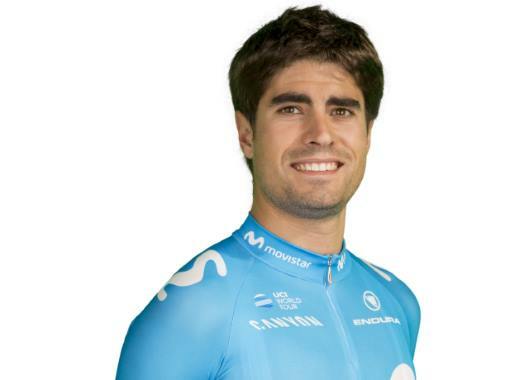 Mikel Landa (Movistar) expects to start at the 2019 Tour de France and combine it with one other grand tour that isn't decided yet. The Spaniard suffered a crash at the 2018 Clasica San Sebastian that left him out of the Vuelta a España and the World Championships, which was a hard blow for him. "I'm doing fine," said the rider to Spanish news agency EFE. "I needed to disconnect from the world and forget about everything. It was not only physical, but I was also mentally worn out trying to recover on time for the Vuelta and the World Championships. "I demanded too much from myself because I liked the Vuelta and the Championships were very special, and that made me really tired. This season taught me to be patient and calm. If this year it is not possible, it will be the next. The positive lesson the year left me is that you have to keep calm in the difficult moments." One day after knowing the course of the 2019 Tour de France, the rider has a clear objective in his calendar. "I want and have to go to the Tour," he emphasised. "I don't know what else I will do. The Giro is always very attractive for me and the Vuelta is a beautiful race. Surely I will be in the Tour and when the route of the Giro is announced I will see if I can also be there." "I will have to study the route of the Tour because it looks like it will suit us better than other years. The climbers should be able to do a good job." About repeating the formula of the shared leadership with Nairo Quintana and Alejandro Valverde for the Tour de France, the rider is uncertain. "We will have to think about it and see the objectives of each of us," Landa explained. "Last year we couldn't profit from it because we were a level below of what we expected, but we will have to wait and see."